If you live in Tennessee surely you've seen these pretty little blue flowers popping up everywhere. They fill the sides of county roads here in Knoxville these days! Here is a bit of history on the cornflower. 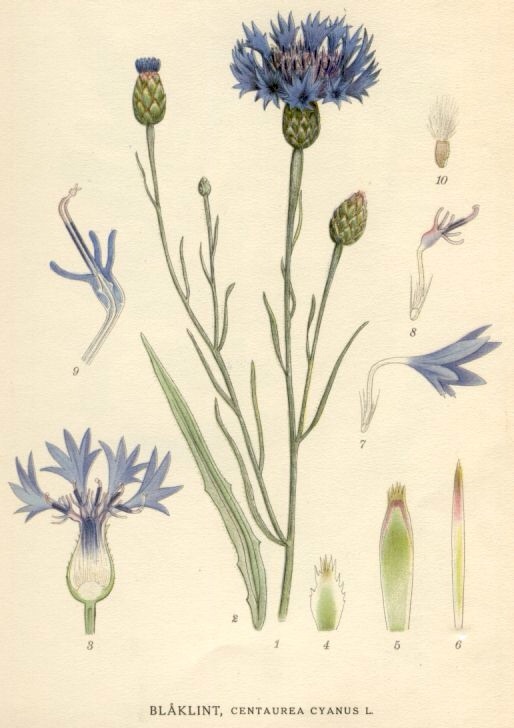 Also known as the bachelors button, In folklore, cornflowers were worn by young men in love; if the flower faded too quickly, it was taken as a sign that the man's love was not returned. The Latin name, Cyanus, was given the Cornflower after a youthful devotee of the goddess Flora (Cyanus), whose favourite flower it was, and the name of the genus is derived from the Centaur, Chiron, who taught mankind the healing virtue of herbs. They say that you can make a distilled water from Cornflower petals which was formerly in repute as a remedy for weak eyes. The famous French eyewash, 'Eau de Casse Lunettes,' used to be made from them. This flower brings me a lot of joy, it's simple and that makes it so beautiful. The Katelier offers a boutique approach to floral wedding planning & design, with comprehensive offerings from florals to logistics to papergoods for the modern, organic style bride. Based in Tennessee + Colorado; available by appointment only.